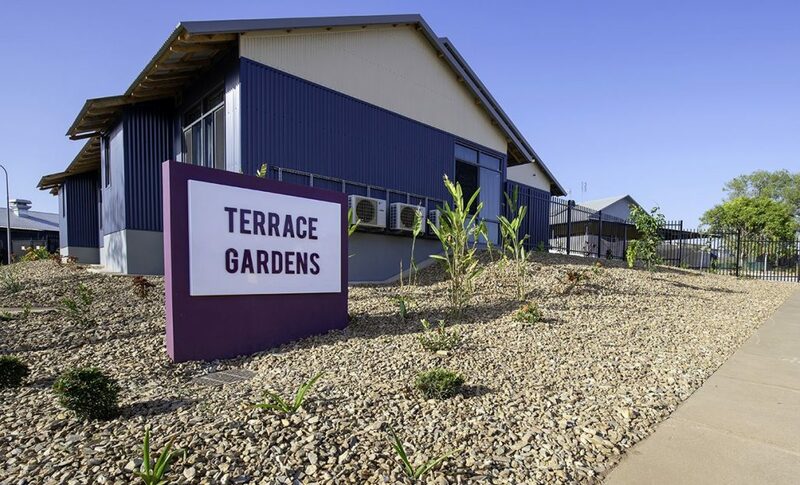 Hodgkison has been involved in the extension of the Terrace Gardens Residential Aged Care facility in Palmerston, NT. The facility now consists of two 32 bed buildings named Jabiru and Kakadu and a 24 bed memory support building named Litchfield. The expanded kitchen not only provides meals to the residential facility but provides 1,000 meals per month via Meals on Wheels to the wider community. Terrace Gardens is operated by Australian Regional & Remote Community Services (ARRCS). ARRCS currently operate ten residential care facilities with a combined capacity of 385 beds, and 11 community care programs in Darwin, Alice Springs, Tennant Creek, Katherine, Mutitjulu and Docker River. Some of the services are specifically for Indigenous Australians, while others are more generally for older people, people with a disability, clients discharged from hospital including individuals and carers who are in need of support. Photos courtesy of Lahey Constructions Pty Ltd.